For the most part, technology is a universally beneficial entity. Advances have changed the faces of communication, science, and information. On the opposite end of the spectrum, confidentiality has become more difficult to safeguard. In a world where information is a click away, identity theft has plagued the lives of thousands. If you are a victim, learning how to fix your credit is the first step in overcoming this trial. Follow the steps below to fight for your financial privacy. Identity theft is a criminal act that should be taken seriously. Contact your local sheriff’s department and file a police report as soon as possible. The police may be able to catch and prosecute whoever stole your information. An official record will also reinforce your claims of fraudulent charges if creditors or credit bureaus ask for further information. Advancements in technology have led to advancements in identity protection. Call your lender, and notify them if your card has been stolen. 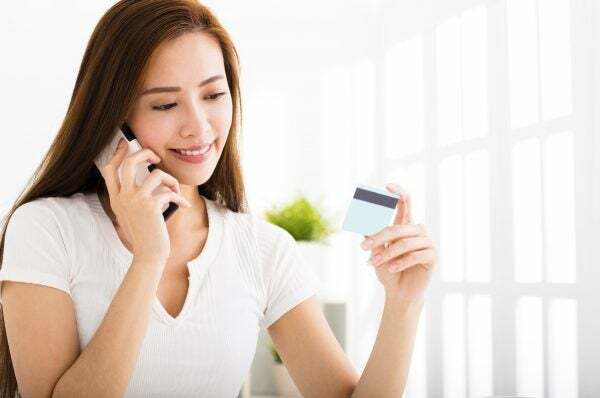 Many credit card companies offer immediate refunds for fraudulent charges and may also be willing to contact the credit bureaus on your behalf. Open communication is imperative when learning how to fix your credit after identity theft. Make sure to keep your lenders in the loop. Unfortunately, many people do not notice identity theft until months after the fact, resulting in credit damage. If your score has taken a hit, you may be wondering how to fix your credit ASAP. First things first: obtain copies of your credit reports, and review the information. Highlight any accounts affected by identity theft, and provide one of the credit bureaus (TransUnion, Equifax, or Experian) with the necessary information. You should include a copy of your police report and a letter from your lender to expedite the process. Once your claims have been verified, the bureau will remove the negative item from your credit report and provide the other bureaus with the same information. 4. Activate a fraud alert. While you are working with the credit bureau, take steps to avoid future identity theft. Ask them to put an active fraud alert on your credit report. In order to initiate such fraud alerts, however, you’ll need to contact all three credit bureaus directly. Fraud alerts require you to take additional steps when applying for credit to ensure your identity. By initiating this process, lenders are required to contact you by phone or other means to authorize new lines of credit or the use of your name on applications. If they cannot reach you, the application or credit activation will be denied and flagged for fraud. This process ensures your awareness of any and all activity on your account and will help you recognize when fraud is being committed in your name. Don’t let your credit repair fall by the wayside. Follow up with the credit bureaus, police, and your lenders. Checking in after 30, 60, and 90 days will illustrate your commitment to repairing your credit and your interest in catching the identity thief. Moreover, make sure your creditors haven’t instructed the credit bureaus to place unfairly reported or inaccurate information on your credit reports. If you see false items, call your lenders and ask them to clear up the situation. Offer to provide a copy of your police report. Learning how to fix your credit is not an intuitive process, especially after identity theft. Minimize the damage by keeping detailed financial records and informing the necessary parties. While injustice may sometimes be unavoidable, don’t let this one consume your future. This entry was posted in Credit Repair and tagged Credit Repair, Identity Theft. Bookmark the permalink.